Super Mario Run launches on iOS next week and Nintendo is running a special promotion in Miitomo to celebrate this fact. The collaboration includes special Super Mario-themed items and room decorations, as well as a cool Super Mario Run varsity jacket and an adorable Little Boo Buddy. If there's an item you've had your eye on, this is a good chance to get it! 1. All users get in-app Mario and Luigi items! Not only are the Mario cap and Mario suit back, but you still have time to get the newly introduced Luigi cap and Luigi suit. And better yet, we're giving them to all Miitomo players for free! 2. 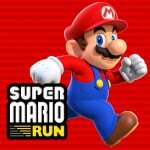 Super Mario Run items available in Miitomo Drop! You'd better run if you want these Super Mario Run wallpaper and flooring items! 3. 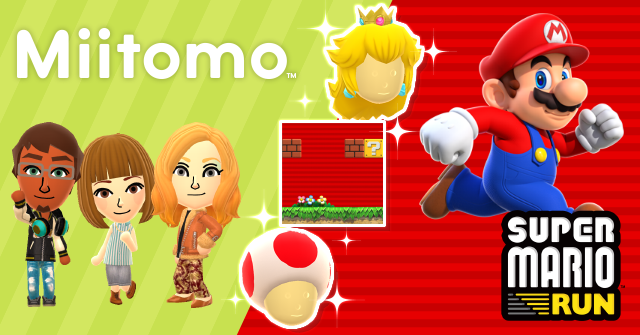 Little Goomba, Little Boo buddy, and more available in the Miitomo Shop! Visit the Miitomo Shop and pick up a Boo or Goomba to keep by your side. Plus, dress for the occasion with a Super Mario Run varsity jacket! And don't forget: The following event is still going on! • Explore the new messaging feature by sending an receiving messages. Will you be dipping into Miitomo again in light of this news? The app should be called "Meh! Tomo!" Yes. That's a great deal. I purchase 1000 miitomo coins and I get 4000 miitomo coins for free. This is brilliant, I was collecting to buy that penguin costume and now I can buy it. Miitomo is brilliant. "if you purchase 1,000 Miitomo Coins, you will receive 4,000 additional Miitomo Coins for free." ......And now begins the Fire-Sale. You tagged Miitopia instead of Miitomo! Oh come on! It's better than the ugly Christmas jumpers or the lemon hat. Seriously, I don't know why I'm still playing with this. But I am. Btw, if anyone is looking for good side-kick miis, http://www.miicharacters.com/ has a few really good ones that you can just scan the QR code for. @Sakura the lemon hat is classic. It's exclusive my Nintendo reward as well. I really tried to give it a chance but eventually decided it was just wasted space on my phone and deleted it. I never found any part of it fun or entertaining. I'll try for the toad hat. Why are they promoting an app that isn't even available for Android (not that I would want to play it)? That's really pointless. At least they could limit this annoying promotion to IOS-Miitomo.